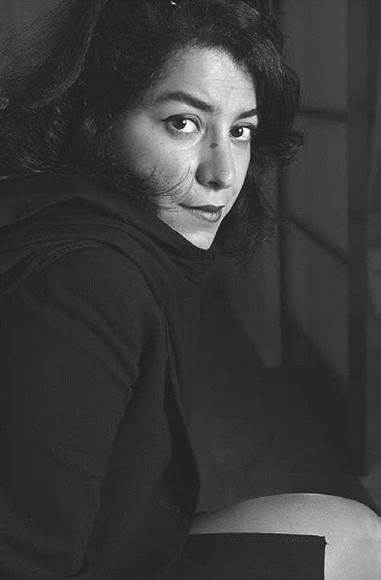 Marjane Satrapi. Satrapi, Marjane, photograph. AP Images. Marjane Satrapi is an Iranian graphic novelist, illustrator, animated film director, and children’s book author based in France. She is critically acclaimed for her graphic novels Persepolis: The Story of a Childhood and Persepolis 2: The Story of a Return, where she artistically narrates her childhood and teenage experiences of growing up in Iran and later immigrating to Europe. A Girl in the Revolution. Born on November 22, 1969, in Rasht, Iran, Marjane Satrapi grew up in Tehran in a progressive upper-middle-class family. The early years of her youth were spent under the rule of Mohammad Reza Shah Pahlavi, who sat on the throne from World War II onward and oversaw dramatic changes in the form of modernization and relaxation of Muslim influence on the government. These changes included voting rights for women and the transfer of land ownership from the wealthy to individual farmers. While the Shah was arguably regarded by the Western world as a positive force in Iran, opposition within the country—particularly among religious fundamentalists led by Ayatollah Ruhollah Khomeini, who saw the Shah’s efforts at modernization as an affront to Islamic traditions—continued to grow throughout his rule. As the economic situation in Iran worsened during the 1970s, opposition forces gained the support of the public in their attempts to overthrow the Shah. This happened in 1979, and although there was general agreement that the end of the monarchy was a positive event, there was much dispute over what should take its place. Khomeini and his followers, some of whom used tactics of violence against those who opposed them and came to be known as the Hezbollah, assumed control of the government and instituted stricter adherence to Muslim traditions, such as the wearing of headscarves by females and the prohibition of alcohol. Khomeini’s regime purged thousands of government employees that it viewed as too Westernized, or that were suspected of rejecting Islam. It was this transition to a fundamentalist climate that Satrapi experienced as a girl and later documented in her graphic novels. To Europe and Back. Satrapi studied at the Lycee franyais, and then moved to a boarding school in Vienna to finish high school. She returned to Iran for college, where she met her first husband, a man named Reza, and married him at the age of twenty-one. They were divorced a year later and she went on to study visual communication, gaining a master’s degree from the School of Fine Arts in Tehran’s Islamic Azad University. In 2001 she received an Angouleme Coup de Coeur Award for the original French version of Persepolis, and an Angouleme Prize for Scenario for Persepolis 2 the following year. Poulet aux Prunes, or Chicken with Plums, received an Angouleme Best Comic Book Award in 2005. Persepolis was adapted into an animated movie in 2007 and was awarded a Jury Prize at the Cannes Film Festival. Satrapi currently lives in Paris with her husband, Mattias Ripa, working as a graphic artist, illustrator, children’s book author, and a contributor to various magazines and newspapers worldwide, including the New Yorker and the New York Times. Mohammad Reza Pahlavi (1919-1980): Exiled during the Iranian Revolution of 1979, this monarch of Iran was the second of the Pahlavi House and the last shah of Iran. Gulrukhsor Safieva (1947-): This highly regarded artist is Tajikstan's national poet and particularly known for her modern Persian folksongs and poetry. Simin Daneshvar (1921-): In 1949 this Iranian author became the first woman in Iran to publish a book of short stories and, later, in 1969, the first woman to publish a novel, Mourners of Siyavosh. Margaret Atwood (1939-): An award-winning Canadian fiction writer, Atwood is known best for her novels, poetry, and feminist activism. Art Spiegelman (1948-): American comic author and artist who won the Pulitzer Prize for his stylized graphic memoir Maus (1973-1991), which told the tale of his father's experiences as a Jew during the Holocaust and his later life. Khaled Hosseini (1965-): American author born in Afghanistan who drew upon his childhood knowledge of his native country for his novel The Kite Runner (2003). In contrast to the majority of graphic novels that are published by large comic companies, Satrapi’s memoir was published in graphic novel form by mainstream publishing houses. As a result, Satrapi’s graphic novels are among the most popular of the genre, with Persepolis selling more than 450,000 copies worldwide. Its success ultimately led to the adaptation of the story to animated film. In 2007 Persepolis was released, despite objections from the Iranian government, at the Cannes Film Festival, where it won the Jury Prize. The Persian Culture. Virtually all of Satrapi’s works focus on Persian culture, its traditions, and its place in the modern world. Both Persepolis and Persepolis 2 deal with the event of the Islamic Revolution in Iran, a country that was once known as Persia. The titles of these works refer to the ancient city of Persepolis, which was the capital of the Persian Empire. The characters in Persepolis make up a broad spectrum of Persian culture and provide different perspectives on the modern history of Iran. Chicken with Plums concerns an Iranian man—the author’s great- uncle—who stops eating after his tar, an Iranian lute, is destroyed and cannot be replaced. Women’s Issues. Another important theme in Satrapi’s work is the concerns and rights of women. In Persepolis, Marji’s mother protests against the newly instituted rule requiring women to wear headscarves—a protest that ends in violence. Marji herself dares to rebel against the fundamentalists who police the streets by wearing Western clothes. Embroideries (2006) focuses exclusively on the lives and concerns of Iranian women. The book centers on a gathering of women at the home of the author’s grandmother; there, they share stories about their lives. The Tempest (1610-11), a play by William Shakespeare. In this classic tragedy, argued by some scholars to be about the moment of revolution in the colonies, the ''good servant'' Ariel and the rebellious Caliban trade arguments about the projected effects of a revolt against Prospero. The Eighteenth Brumaire of Louis Napoleon (1852), a nonfiction study by Karl Marx. Political philosopher Karl Marx's famous consideration of the successes and, mostly, the failures of France's revolution of 1848; he was particularly dismissive of Louis Bonaparte's role, noting that great historical events occur for the first time as tragedy and the second as farce. The House of Spirits (1982), a novel by Isabel Allende. This novel concerns the lives of a Trueba family during major sociopolitical upheavals of postcolonial Latin America. With only a handful of works to her credit, Marjane Satrapi's reputation rests largely on her first graphic novel, Persepolis, and its sequel. The critical response for these works was overwhelmingly positive, and mainstream popular success followed—an unusual occurrence for works that some might view as ‘‘comics.’’ Although her follow-up works have not attained the same level of success, they have still enjoyed great popularity and have drawn many new readers into the realm of the graphic novel. Chicken with Plums. ‘‘Satrapi’s deceptively simple, remarkably powerful drawings match the precise but flexible prose she employs in adapting to her multiple roles as educator, folklorist, and grand-niece,’’ the New Yorker noted in a review for Chicken with Plums. Harvard Book Review’s Noah Hertz-Bunzl, however, believes otherwise, arguing that though the piece is ‘‘full of charming incidents and anecdotes, it lacks clear direction and purpose.’’ Critics may be divided on accepting the novel, but its Angouleme Best Comic Book Award in 2005 certainly indicates that the Iranian artist has created yet another significant piece of literature. 1. Discuss the ways in which people struggle for freedom in Persepolis: The Story of a Childhood. Paying particular attention to specific acts of rebellion, identify the different kinds of freedom that are valued by the people in Satrapi's memoir. 2. How important is gender to the people in Persepolis? Compare and contrast the ways in which gender influences several different characters in this story. 3. What role does story-telling play in the lives of Satrapi’s narrators? Compare and contrast the concept of a ‘‘national history’’ with that of a ‘‘personal history.'' What is the author communicating to readers about them and their relationship with one another? Support your answer using specific examples from the text. 4. Consider Satrapi’s choice to use the graphic novel to communicate her story. How significant are the illustrations? Why do you think she chose this medium over others? ‘‘Author Biography,’’ Pantheon Graphic Novels, http://www.randomhouse.com/pantheon/graphicnovels/satrapi.html February 25, 2008. ‘‘Marjane Satrapi: On Writing Persepolis,’’ Pantheon Graphic Novels, http://www.randomhouse.com/pantheon/graphicnovels/satrapi2.html February 25, 2008. ‘‘Marjane Satrapi Returns,’’ Powells.com, http://www.Powells.com.